Last year we told you we thought 2018 was the best year ever to visit Walt Disney World. 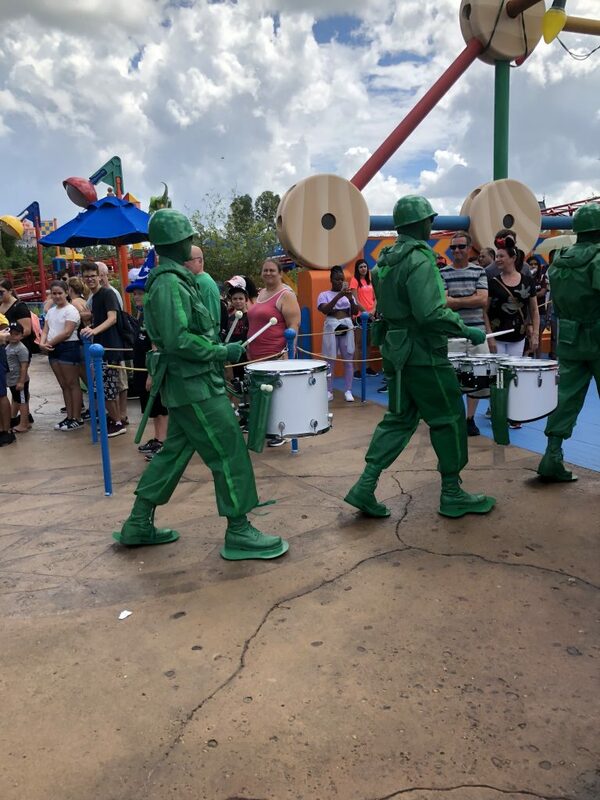 Overall we think it was a fantastic year with the highlight being the opening of Toy Story Land. Unfortunately, the crowds also seemed to agree that 2018 was a great year to visit. There have been large crowds greeting guests most days. However, we think you probably should not visit Walt Disney World in 2019 and wait until 2020 or 2021. Now, this isn’t quite true. The new attraction Mickey and Minnie’s Runaway Railway will probably open at Hollywood Studios in time for summer but there will be nothing much else new for the peak vacation season. After 2017’s Avatar & 2018’s Toy Story Land this new attraction isn’t going to be a big pull in our opinion. We now know Mickey and Minnie’s Runaway Railway is not going to open until Fall…so there will be even less new! Star Wars: Galaxy Edge is due to open in 2019 but currently Disney is stating late fall 2019. I’m not exactly sure what late fall means but I suspect the end of October or November will be the earliest for the opening. However, large attractions can be delayed and it would seem plausible that Star Wars Land might not even open in 2019. The biggest event so far advertised for Summer 2018 is saying goodbye to IllumiNations at Epcot. However, the attraction has been around since 1999 and has served its time. Unfortunately, its permanent replacement will not début until 2020. Is saying goodbye to a 20-year-old attraction a reason to visit? The other new attractions announced for 2019 to date are hardly going to be showstoppers. A renamed Move It! Shake It! Dance and Play It! Street Party or a Lion King Dance Party are hardly going to make me want to rush to book a vacation. Pixar Place having an Incredibles overlay but no new attractions just has the feeling of “temporary area” written all over it. You can read more about new attractions at Walt Disney World during 2019 in our guide. 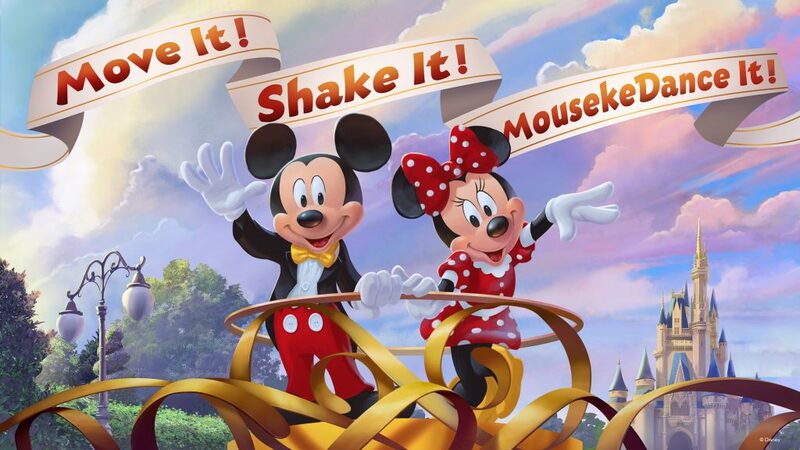 Mickey Mouse and Minnie Mouse invite guests to join in the new “Move It! Shake It! MousekeDance It! Street Party” in Magic Kingdom Park. It has gone more expensive. Tickets at Walt Disney World are getting more expensive and now you will pay more for the busiest times of the year. However, most of the busiest times in 2019 will have no major new attractions. In addition, Disney has just increased the price of many park items significantly. Is it better to save you money for another time? Hollywood Studios remains a construction site but Epcot is now under massive renovations too. Whilst Epcot building work isn’t too obstructive at the moment it is likely it will get more noticeable as we enter 2019. Also in 2019 significant work will be occurring to make room for the new Tron Coaster. The Walt Disney World Railroad and the Tomorrowland Speedway will both spend a significant part of 2019 closed to aid construction. Plus the Disney Skyliner will continue its construction into 2019 causing havoc in car parks & resorts. There is a lot happening at Walt Disney World in 2020 & 2021. 2021 will be Walt Disney World’s 50th anniversary and there are bound to be massive celebrations. By 2021 there will be 3 massive new attractions open. These attractions are a Tron Coaster in the Magic Kingdom plus in Epcot a Ratatouille Attraction & a Guardians of the Galaxy Coaster. The expansions in Hollywood Studios will continue for the next few years and there almost certainly will be some further unannounced attractions. It would seem unlikely renovations at Epcot will be complete by 2021 but there will also probably be some extra attractions which have not yet been announced. While most of these changes are not guaranteed until 2021, I do think 2020 will be a better year to visit than 2019. Star Wars Land will be open and the initial crowds will have quietened down slightly. 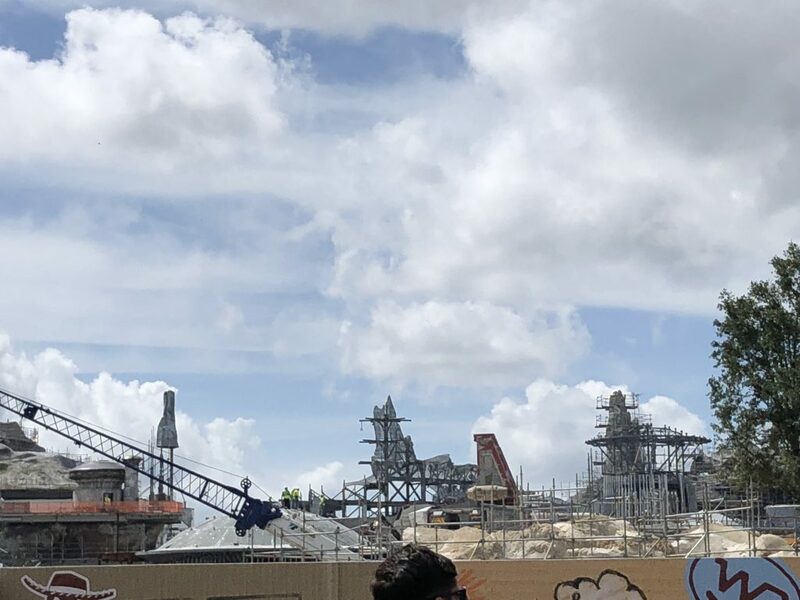 In addition, there will still be the relatively new areas of Pandora & Toy Story land to explore. The more new areas we get crowds should hopefully start to spread out. Could the lines for Flight of Passage be quieter by 2020? Any visit to Walt Disney World is always fantastic & while I think 2019 is not the best year you will still have a great time. There might be more to do in 2020 & 2021 but you will hardly be bored in 2019. However, Mrs Modernlifeisgood does not agree with and she thinks 2019 is a fantastic year to visit Walt Disney World! Here are her alternative reasons on why 2019 is a great year to visit Walt Disney World. 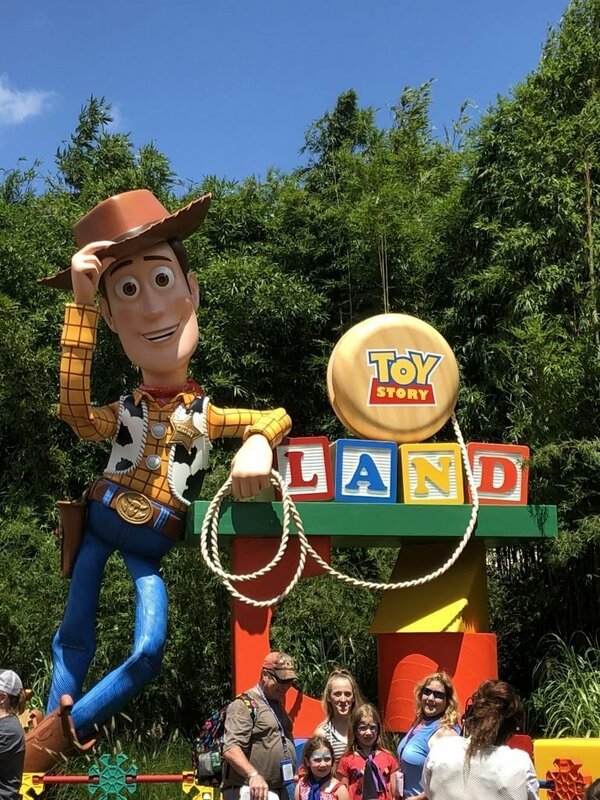 If you are planning to visit our Guide to Walt Disney World is a great planning resource. 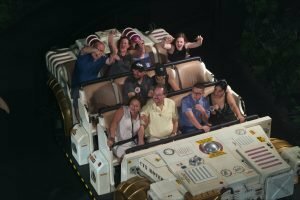 Do you agree, should you not visit Walt Disney World in 2019? Let me know your thoughts in the comments section below. I agree. That’s why we’re going on a Disney Cruise 2019! You get your Disney fix minus the construction and the crowds! I was so disappointed when I heard that Star Wars Land was not opening until late 2019. We almost booked a summer vaaction but realised just in time. I’m think of visiting in 2021 as I think the celebrations are going to something else. Sadly the crowds probably will be too. I agree it is disappointing that we shall not see Star Wars until late 2019. I’m still trying to work out what late fall means. You are wrong my friend. Why wouldn’t you visit in 2019? Avatar, Toy Story Land, Mickey’s birthday celebrations plus to top it all off Star Wars to finish the year. Shall we agree to disagree Siva? I enjoy going to Disney no matter what. We’re going in January 2019 and I’m sure it will be great! Personally, I can cope with summer although you always run a risk with the weather. Yes, crowds are big but they are just about manageable. The thought of attending at Easter/Spring Break again is scary. I’m sure you will have a great time. Im going early december 2019 and really hope you are wrong. Actually, by then, Star Wars should hopefully be open. With a bit of luck, it will quieten down the rest of the parks. Ultimately no matter when you visit you should have a great time. My family and I are going in March 2019! While I do agree with you that there not being any major new things might deter people who are able to go to to Disney World more often due to time and/or money available and those who have already experienced all of the more recent additions like Pandora or Toy Story Land, people like my family and myself who haven’t been to Disney World in many, many years (due to lack of time available to take a legit vacation) haven’t gotten to experience these new areas and attractions, so there not being as many major new things to see specifically in 2019 is not as big of an issue! Understand & agree with your thoughts. The new areas are well worth seeing and Animal Kingdom is now a fantastic park. The biggest inconvenience I suspect when you visit will be the level of construction. You will have a great vacation despite this but in certain areas it will be noticeable. Glad to read this! My granddaughter said that next time we go to Disney (we go every year), we HAVE to be there on her birthday. Her birthday’s in February. That’s not a problem except that we leave in a couple of weeks for this year’s visit. I told her that we couldn’t go in December then turn around and go again in February. Nana needs time to save! So this makes me glad that we’ll have to miss a year. I don’t mind not having anything new. We’re not into Star Wars or hair-raising roller coasters, so I don’t care that they won’t be finished. But I don’t like paying a ton to visit there only to be totally inconvenienced by construction in the way. I’ve already been checking out which resorts will have the construction for the Disney Skyliner so I’ll know which ones to avoid when I book our resort. If you don’t decide to go in 2019 I hope you have a Magical 2020 Vacation! It is perfectly fine to use the word “while” when writing an article. Whilst was discontinued after knights in shining armor quit jousting on white steads. This article certainly seems to be providing plenty of debates but I never expected whether we should be using whilst or while as one of them. There are plenty of grammatical mistakes in this article, which I need to correct, but this isn’t one of them. It is an interesting thought that although being English most of our readers are based in the US. Should we use US English? Currently, I am using a mix of both which isn’t ideal. I wish I was able to visit in September to benefit from those low crowds. 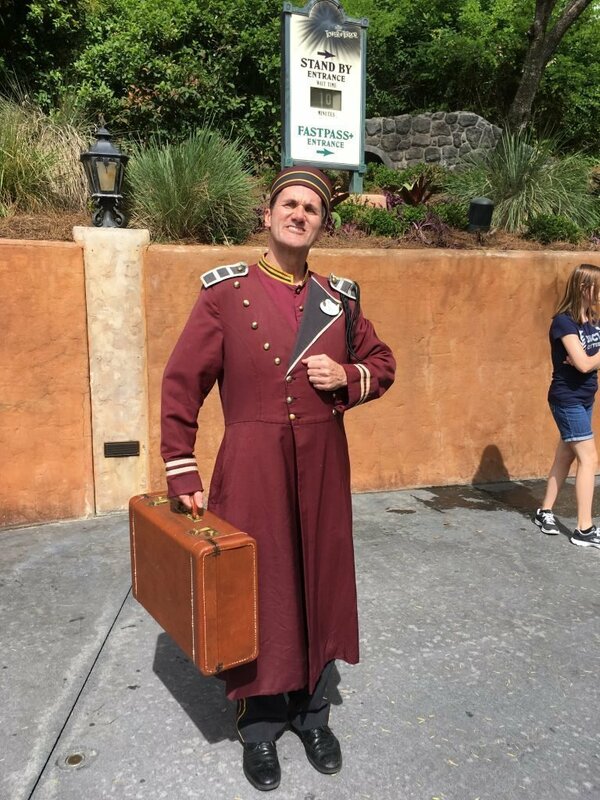 DW isn’t going to be the same in the years to come as they keep pushing up their prices and making it more expensive for off site families to enjoy the parks as well as resort guests (I.e., parking fees) as they continue to promote their growing transportation system. I think crowds will begin to drop off. We have reduced our park visits to 4 each yearly trip. We used to go 6-7 times each trip. I can see ourselves becoming every other year visitors. We enjoy late August when school in the south starts and hit the parks early. Never had a crowd problem when we are there at rope drop. I just was there in November and the crowds were high and so was the heat! Unusual the cast members said! The relocation of the bus stops at the studios is ridiculous so if you have walking issues, be aware. Disney Springs is a mess too with their bus parking! We’ve booked for July 2019 as it’s our son’s 18th and as a family we love Disney so the perfect place to celebrate. I hope it’s not all renovations/closures as that would spoil the whole vacation! You will have a great time. I think you are being optimistic you will have the place to yourselves. Please keep spreading the word that 2019 is not the year to visit. We are going twice and I hope you scare some of the crowds away. Haha. I went in 2018 with my 25 year old daughter for a week end of April/first of May. There was construction at our resort (Pop) and Toy Story Land was not open. We had a ball! Went again for one day in July with my 25 and 19 year old daughters. We did rope drop at MK and finished the day (stayed until park close) at AK. One of my best trips EVER, and that was July heat and crowds. It is what you make it. Even with construction and new areas still to be opened, I’m expecting a “magical” time in 2019. I’m hoping it will scare some off for when we visit too! We’re headed there in July 2019 – just booked last night! The deals they are offering were well worth it seeing as we don’t really care too much about Star Wars or a 50th anniversary. So excited for our trip! The current US deals are really good. We just booked one from the UK using the US site! New=busy. Everyone who is waiting for the next hot ride will sit at home while my family visits with lower crowds. They also discounted Canadian tickets for the time before the new releases so double win for me. I suspect it will be busy either way, especially with all the recent deals. We just got back a week ago, and yeah it wasn’t as “magical” as I’d hoped. 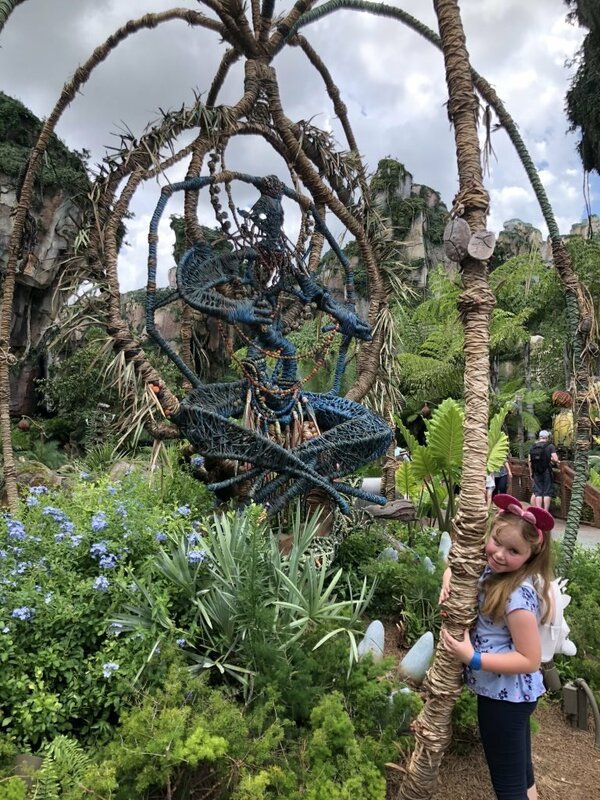 Lots of new stuff coming in the future, and Pandora & Toy Story land are vastly overrated! They are small corners of the parks, and it didn’t seem worthwhile to spend a fastpass on flight of avatar (great ride, but LAME, time consuming “prep”) for it, and slinky dog dash wasn’t as fun as seven dwarves mine train. I’ll wait a few years before going back! Just got back. Worst trip ever. Crowded big time. Paid $125 for after hours tickets at Animal Kingdom. Very little was open. Thanks for getting in touch. To keep to the family nature of this blog I had to edit a few of your words…sorry. Saddened to hear you had a terrible time. I would have thought this time of year would have been quieter? While I think there might be better times to visit Disney, any time is usually better then no time! Since Star Wars is opening late August, and Food and Wine is going on then, it will be a terrible time to visit after that. My son thinks the next 3 years will be awful as a lot of Star Wars friends are planning a trip. I think we’ll wait until our upcoming Grand Twins will be about 3 and all go. So 2022.